Is there anything better for curing a fuzzy head on a Sunday than a roast? We’ll answer that for you: of course not! So whether you fancy a relaxed first or second date getting to know each other over some tatties and gravy. 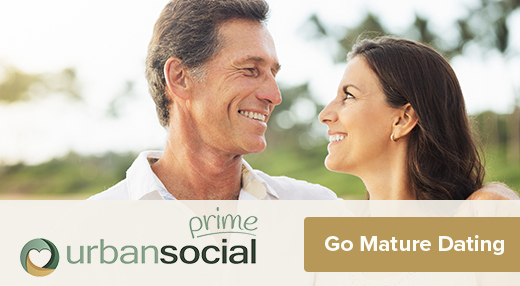 Or you overdid it the night before with your date, having one too many down by the Liffey, or hanging out in Coppers, this is a great date idea in Dublin! Spend the afternoon devouring a substantial roast of mouth-watering meat, gravy, and all the trimmings in one of these top 9 Dublin eateries. 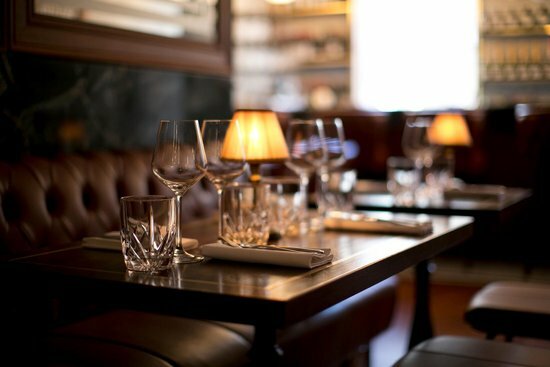 To save you time, and in no particular order, here is our compiled list of the very best spots for a Sunday Roast date in Dublin. Enjoy! 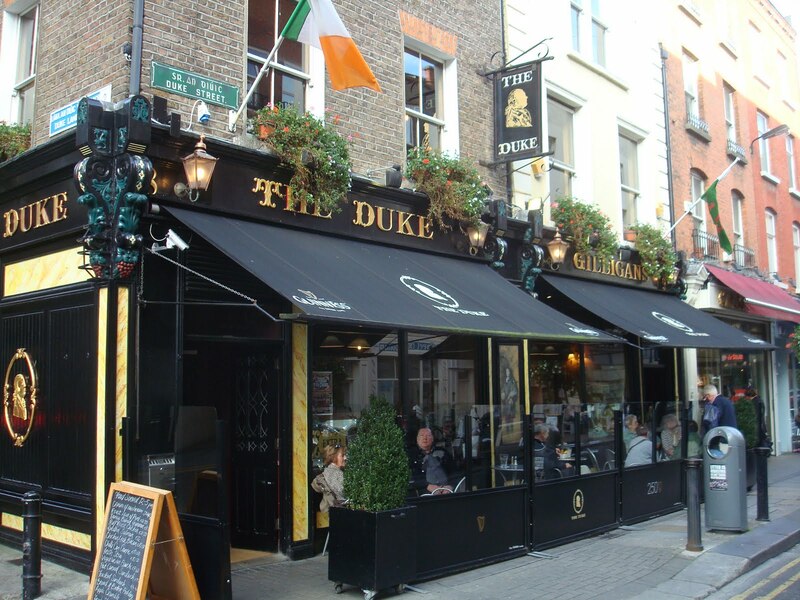 The Duke has been providing the people of Dublin with liquid refreshment since 1882. Named after the street upon which it stands, which in turn was named after the second Duke of Grafton, this is one of the city’s most historic watering holes. James Joyce, among others, would frequent The Duke for a spot of hushed reflection, and today it’s still the place for a bit of peace and quiet. And when it comes to the roast, you’ll both be in dreamland. This is some seriously wholesome and tasty food. Available roasts include: Roast Beef & Horseradish Sauce, Corned Beef & Parsley Sauce, Roast Loin of Pork & Apple Sauce or Roast Turkey & Cranberry Sauce, all served with potatoes and seasonal vegetables. Unlike The Duke, who’ll do you a roast no matter the day of the week, Brookwood only roll theirs out on a Sunday. But what a treat you’ll be in for if you choose this classy establishment to satiate your rumbling tums. For only €19.95 you’ll be served up a tender prime rib roast with mash, roasties, yorkshire puds, glazed vegetables, horseradish, and gravy. And with an extensive cocktail menu to thumb through, you may as well hideout here for the rest of the day! You’ll enjoy a mean brunch in the Whitefriar Grill, of that there is no doubt, but that’s not all they’re good for. Their dinner menu also includes some to-die-for roasts that will have you salivating before you’ve ever been seated. Take for instance the roast breast of duck, served with an orange braised chicory, sweet potato purée, and smoked plum jus. Now that’s some fine dining. Sure, the price reflects this – the roast duck is €26 – but isn’t life about treating yourself (and your date) every once in a while? Are you both sporty types? Well, take a day off from running around and watch other folk do it instead by settling in at Sinnotts for the afternoon. 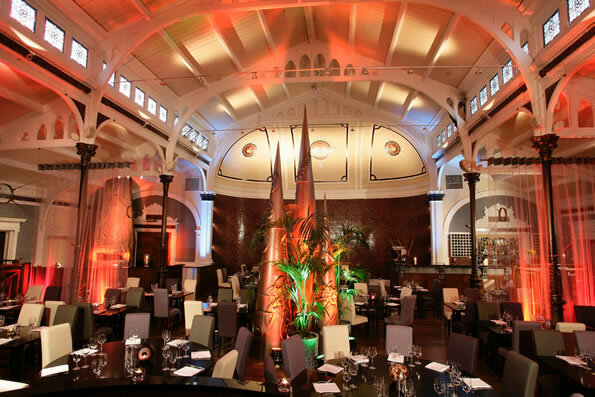 Dublin’s premier live sport venue also serves up a tasty Sunday carvery. 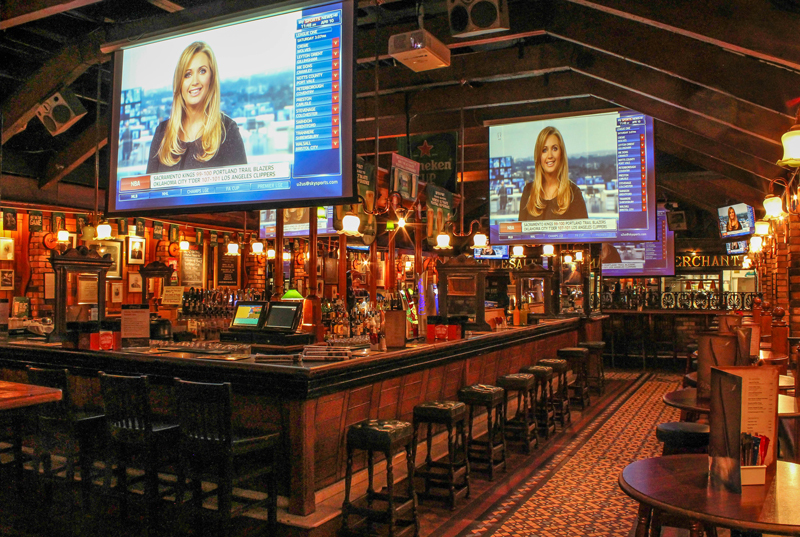 Heads up, if you fancy chowing down and cheering on your team as part of a date in Dublin, get along early to commandeer a table; it can get pretty darn busy! 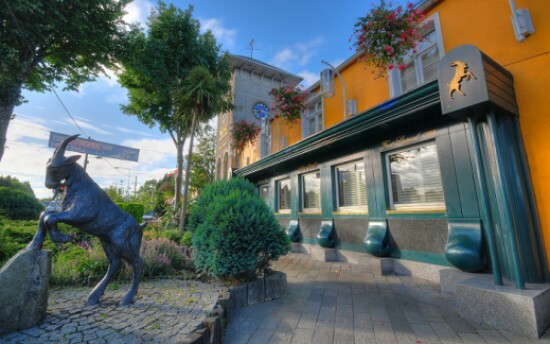 Wander along to Goatstown Cross in the south of the city, and you’ll happen upon The Goat Bar & Grill. A landmark traditional public house, it has been extensively renovated over the years, and both the atmosphere and service are second to none. There’s a beer garden for al fresco dining in the summer months, big screens showing sport, and, most importantly, mouthwatering food and drink. The roast is served with potatoes and fresh market vegetables, and the meat changes daily. Their own website claims that their Sunday roast is “world renowned”, and who are we to argue? The Exchequer’s roast is easily among the best in the city. It’s as popular as it is delicious, meaning you absolutely have to pre-book it by Friday. Their award winning nationally sourced food is cooked to order, and they boast an extensive range of wines, beers, and cocktails to keep you both suitably merry as you scoff down your lunch. 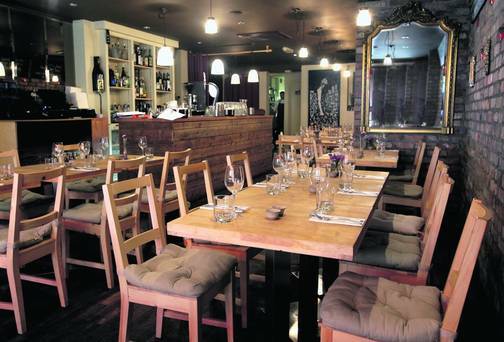 Located in the heat of the city centre, Le Bon Crubeen is a great value option for some contemporary Irish dining. A handy pit stop for a night at the theatre, what with it being so close to both the Abbey and Gate Theatres. And as it’s on the way to The O2, eating here is the ideal way to kick off a special date in Dublin. In the heart of Dublin, the Ely Bar & Brasserie serves up a Sunday roast that’s frankly a joy to behold (and eat). 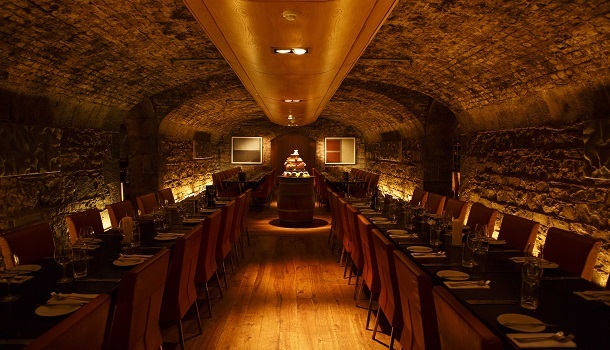 The sister venue to the much-loved Wine Bar, the Bar & Brasserie is located in beautifully restored wine vaults in the city’s docklands. Take a romantic stroll down by the water, and then pitch up here to sit on the heated waterside terrace. And if there’s one thing these guys know, it’s wine, so ask for a recommendation and then kick back and relax together. Confidently proclaiming itself to be the best Sunday lunch in all of Ireland on its website, FIRE Restaurant serves up some terrific grub. The FIRE’s Sunday Roast is as authentic as it comes: they visit farms and select only the finest cuts of Irish Hereford Prime Beef Rib; to complement this top quality meat, they source seasonal Irish vegetables and they roast Wexford potatoes in beef dripping in order to maximise taste; and then there’s the gravy – no messing around here – they use the natural roast juices to make it just like mammy would. If your idea of a top notch date in Dublin is a lazy afternoon staring longingly into one another’s eyes as you shovel delicious food into your mouths, you can’t go wrong with FIRE!